The Alberta government is working its way through the process of publishing the “Sunshine List”. This is a list of everyone deemed to be making a large salary that is employed by the provincial government. There has been much discussion about whether this is a good idea or not. The province’s Bill 5 is working its way through the legislature right now. Place’s like Ontario have had a sunshine list on the books since 1996. 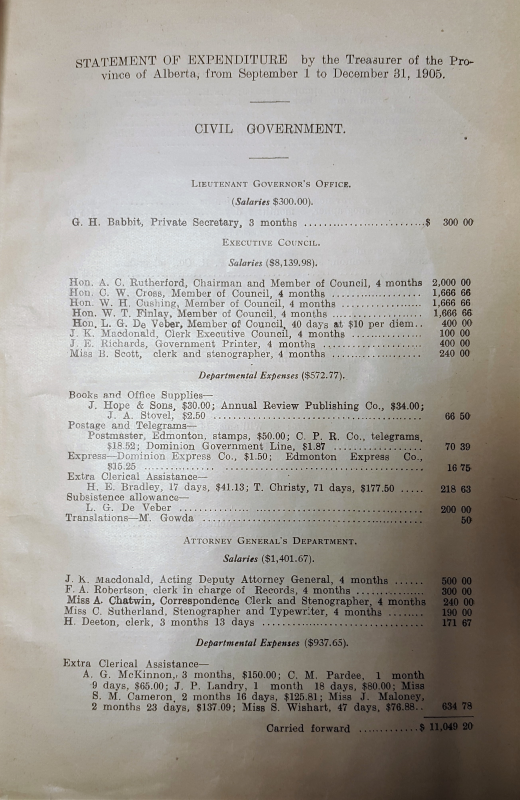 The interesting fact though is that the salaries of all public employees were published in the Public Accounts up until 1952. 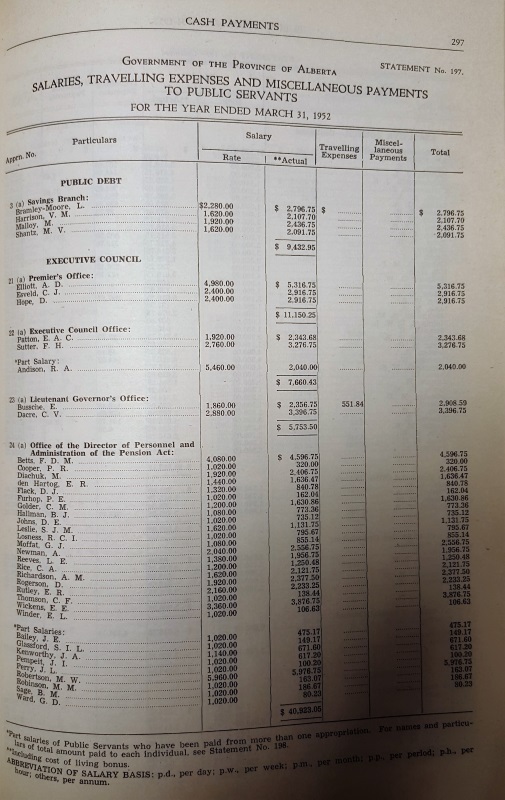 In that year the Public Accounts listed about 100 pages of budget and actual salaries as well as travel expenses just like they did since Alberta became a province. The records are publicly available in the Alberta Legislative Library.